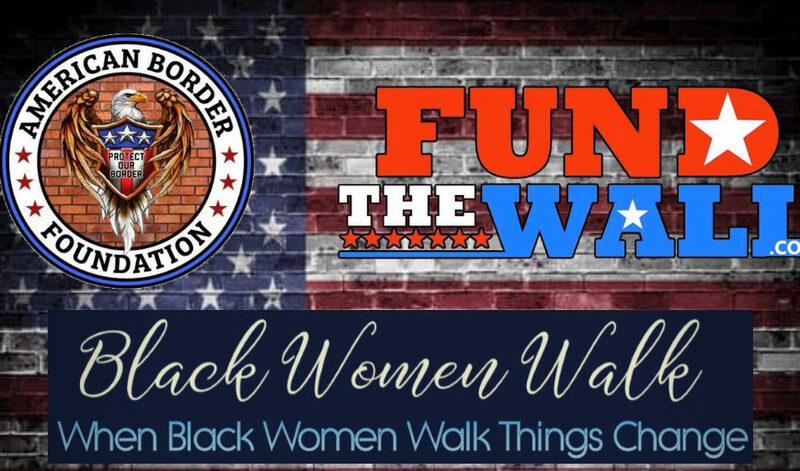 Phoenix, MD – Aisha Love, founder of Black Women Walk and Quentin Kramer, Managing Director of American Border Foundation, have scheduled a conference on Thursday 1/17/2019 at 1:30pm EST, to be held at the National Press Club in Washington, DC. The organizations will discuss their efforts to bring attention to the realities of border life for everyday Americans and the frustration of their volunteers and participants at the lack of action by Congress to fulfill our government’s basic duty of providing security to our citizens, all of which has culminated in the production of a series of documentary videos showing life on the border and the impacts of our policy. Speakers will include Ms. Love and Mr. Kramer, as well as representatives of a diverse coalition, each with their own perspective and stake in our nation’s security and role in helping to get it done. These include several mothers who recently visited the border in McAllen, TX and will report on their experience there. Other expected speakers include Brandon Tatum, David J. Harris Jr, noted angel mother Sabine Durden, Sheriff Thomas Hodgson (Bristol County, MA), Lucretia Hughes, Ben Bergquam, ‘Rambo’ Joe Biggs, and George Farrell of BlakPAC. “We are here to engage and enrage the public”, said Love. “The average American has no idea what life is like for people living at the border and the conditions they have to endure. One of our objectives during this conference is to humanize the situation there and let people know what’s really happening to people living and working on the border”. It should be obvious to everyone that the thing keeping the migrant caravan in Tijuana recently was the border wall/fence already in place there. 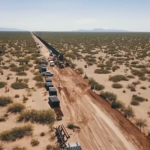 According to Mr. Kramer, “we hope that during the conference we can put to rest the idea that a border wall doesn’t work.” Speakers will also address the concept of operational control of the border, as mandated in the Secure Fence Act of 2006, and what that means relative to border security. Sheriff Hodgson will discuss the impact of lax border security on our nation’s police forces. The conference will also be exploring the impacts of our current immigration policies on urban areas, and alternative solutions to the issue like crowdfunding some of the resources. For more information please contact Quentin Kramer (qkramer@fundthewall.com) or Aisha Love (aisha@blackwomenwalk.us). Over the next week, additional topics and speakers will be released.